I can't tell you how many brides I meet with who tell me that wedding planning is giving them nightmares or keeping them up late at night with all the details. Complicated logistics can stress anyone, when the truth is that most brides want simple wedding planning. Here are 9 wedding planning tips to help you stay in control and keep your sanity. Create a plan. Use a wedding checklist to prioritize your decisions as well as a due date for completion. This list will also help you with the things needed to plan a wedding. There is no point worrying over the flavor of the cake if you still don’t have a wedding venue. Staying focused on the required wedding preparation tasks helps you stay in control of the decisions without feeling rushed. Be realistic. If you expect everything to be perfect, you will add unneeded stress. Nothing is every perfect. But you will be surrounded by friends and family marrying the one your love. Instead choose to be happy in the moment. Use technology to stay organized. An online wedding planner or planning tool makes it easy for you to access your images, notes and contracts from your phone or tablet anywhere and is easy to share with vendors. Create a master contact list to keep track of everyone’s information. Read more about using Evernote for your wedding. Choose Professionals. Hiring professionals can reduce large amounts of stress. Your wedding planner can help by giving you professional resources and answers to questions. Your florist will tell you which flowers are in season and the colors your prefer. Your stationer will help you with etiquitte for the invitaiton and programs. Working with professionals keeps you from feeling like you have to do it all yourself. Help is always just a call or email away. Invite fewer guests. Fewer guests means less space, less rentals, less food, less alcohol and a lower budget which is always a good thing. Use an online RSVP. While not traditional ettiquite, most younger guests will appreciate being able to RSVP online on their compute or phone. Tip: If you do send RSVP cards, number each one to correspond to a guest so if they are returned without names, you can decipher them. Don’t spend hours on Pinterest. 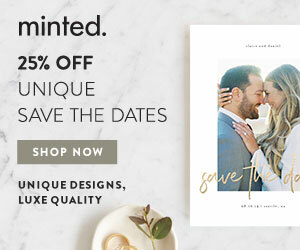 While I love Pinterest as much as the next girl, it is easy to find a dozen things that you have to buy for your wedding. Trust me, your guests won’t notice. hink carefully about DIY. While it is great to be creatively involved in your wedding, think about the details and logistics involved in making, transporting and storing your projects. Plus, you don’t want to be up late every night the week of your wedding because you still have things unfinished. Take a break. Go on a date night with your fiancee or just agree not to talk about wedding plans for one week. This is essential to keep both of you from getting burned out on wedding planning. Making decisions is mentally tiring so take a break and focus on the people who matter. .